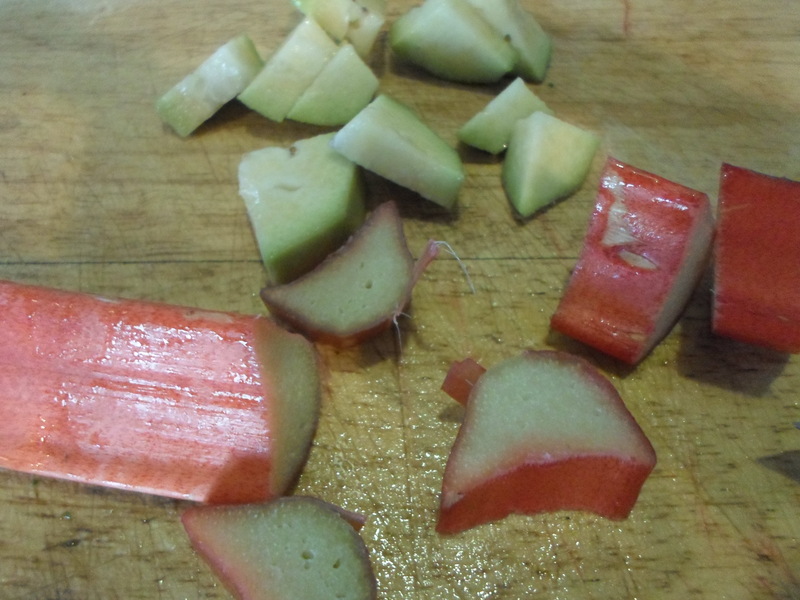 Rhubarb and feijoas are the ingredients to some of my oldest, and fondest childhood memories. They remind me of my mother and my grandmother and every time I see either of them I can immediately taste their tangy bitterness and smell the sweet aroma of them stewing on the stove. Feijoas are little green fruit native to South America, they aren’t easily found in Europe but are abundant in New Zealand during a short period in late autumn. They are in such an excess that by the end of the season people are literally giving them away by the bagful on the side of the road. Because I managed to find some recently, and because it’s Mother’s Day, I thought I would share some thoughts on preserving these little beauties. The ones that I got were a little old; not so good for eating but perfect for stewing or preserving. I love making jam, I have previously mentioned my goal of living a lovely little self-sufficient life in the countryside one day so I see jam making as a very useful skill to have. As a child, I remember my grandmother being a very avid jam maker and her jams always tasted miles better than anything you could ever get from the shop. Was it because it was made with love, or because it wasn’t made with a mountain of preservatives? Who knows? 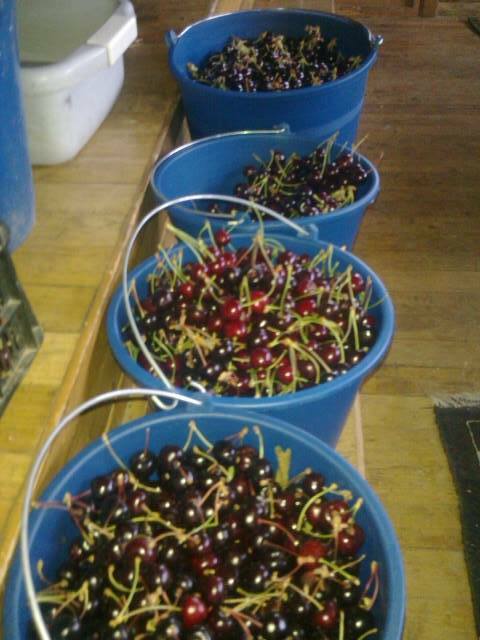 I was introduced to jam making in a more practical sense when I was in Spain last summer; I was staying on a cherry orchard where there were more cherries than you can imagine. 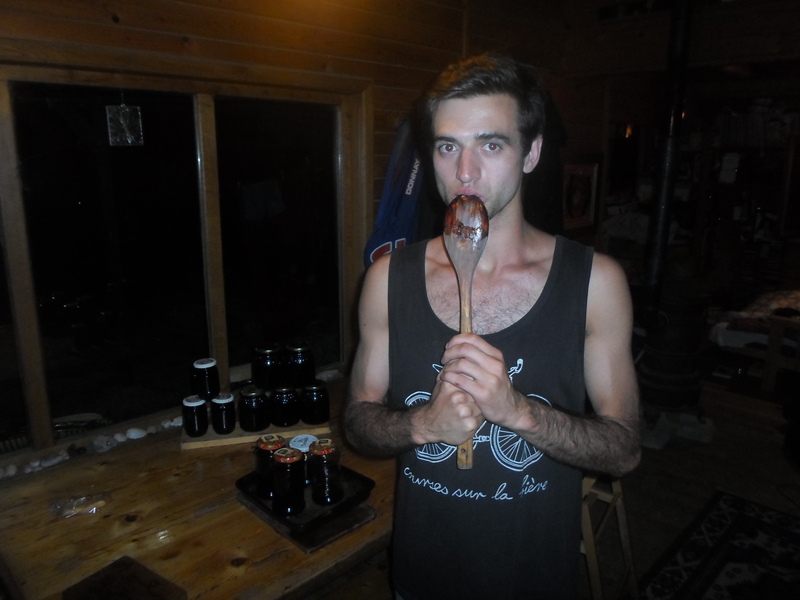 Having all the cherries I could eat at my fingertips was great for the first few days, until my stomach began to churn at the mere sight of them. After experimenting with cherry cakes and cherry muffins and all other means of cherry flavoured things, we found that we still weren’t using them up fast enough, so with the help of David Lebovitz’s jam recipe we got jamming. 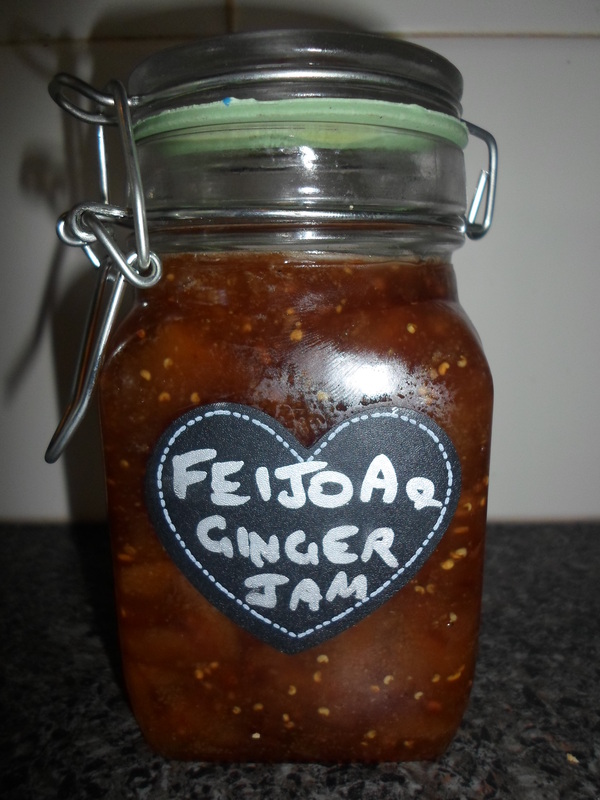 I used this same recipe for my feijoa jam and it can be used with any fruit that you need to get rid of. 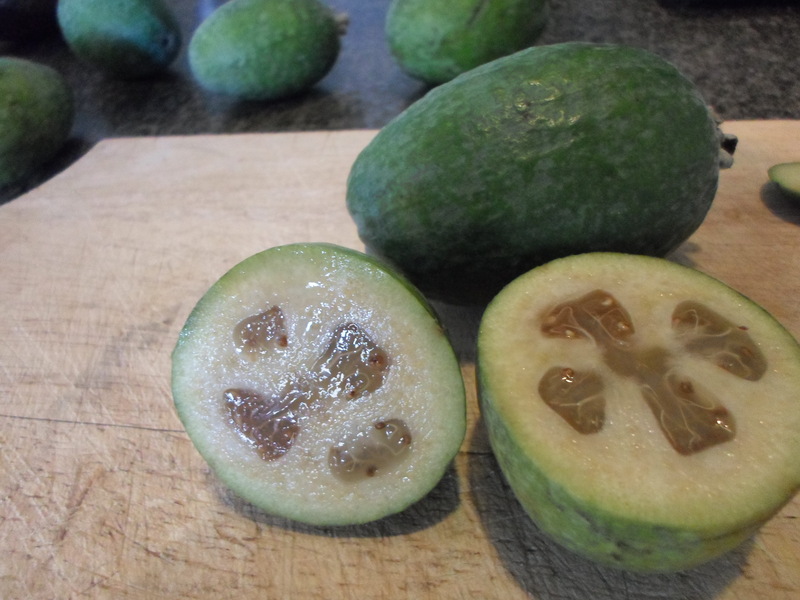 Because the seeds of a feijoa are small and edible, like strawberries or boysenberries, this fruit makes a lovely thick jam because the seeds contain pectin; a natural thickening agent. Cherry flesh doesn’t contain a lot of this – the stems and stones do, but they aren’t edible. So if you are using cherries add lemon (or any other citrus) juice, lemon juice contains pectin and will help thicken your jam. Place the fruit in a large enough pot that they only come about half way up the sides, for safety/mess reasons. You can also add any flavouring you want; I used ginger and vanilla. Cover the pot and cook on a medium heat for about 20 minutes. Add ¾ of the fruit’s mass worth of sugar, crank up the heat and stir constantly. It will begin to bubble violently and then all of a sudden it will stop bubbling and have thickened. Leave it to cool for about 10 minutes and transfer into sterilised jars. 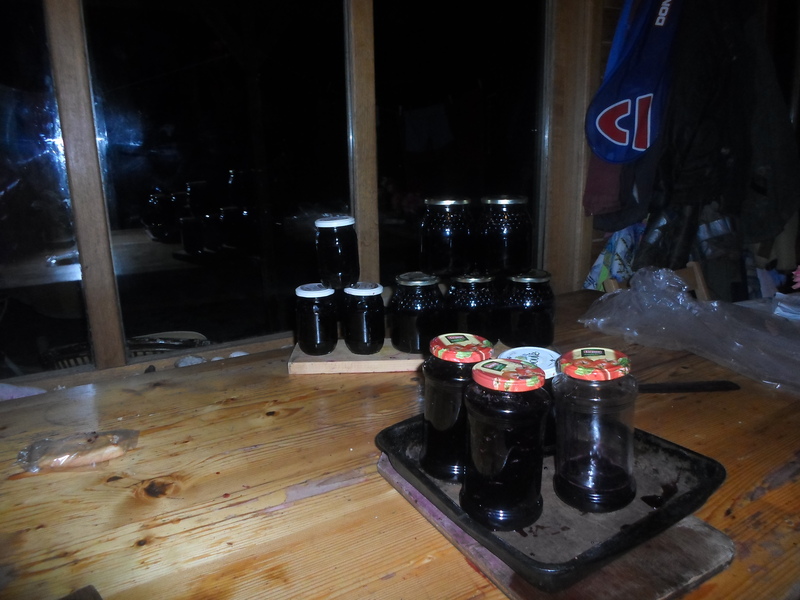 You can sterilise an old jar by heating it in the oven for about 15 minutes, add the jam while the jars are still warm and make sure you fill the jars right to the very top so they are airtight. I know that this sounds like a lot of sugar, and the healthier ones of you will try and get away with adding less. Don’t. it will only end in heartbreak. The sugar is not used here to sweeten the jam (it does that, but that’s not the main reason), the sugar is absorbed by the water from the fruit to the point that the water takes on a gelatinous texture. If you don’t add enough sugar, this reaction won’t happen. If you are opposed to using so much sugar, add less, a bit of water and make stewed fruit. Serve hot with vanilla ice cream, custard, over oats at breakfast time or just by itself!